Inspired by a desire to improve kitchen work process innovative product was born. Galley is a central workstation hub where everything is accomplished - from preparation, cooking and serving to cleaning up all in one place. 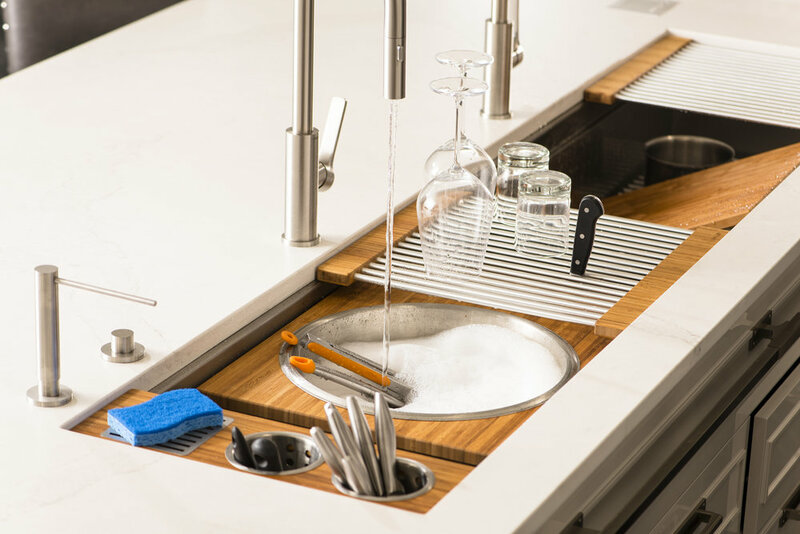 Galley is more than just a kitchen sink. It’s an ideal workstation that every dream kitchen should have. Engineered and handcrafted in the USA Galley is built to last lifetime. Let's find the right kitchen workstation for you!